Lightweight Linux provider CoreOS has released a production-ready version of Rocket, its alternative to Docker, which has untill now been the default platform for handling containerized software. Containerized software runs each app in its own minimal package with the resources it needs, which can be easily moved between development and delivery teams, and between different hardware platforms. Docker is the leading player in the space, but CoreOS announced a rival called rkt - pronounced Rocket - in December 2014. CoreOS, a hitherto strong supporter of Docker, announced Rocket as complaints emerged about the security of the Docker runtime. 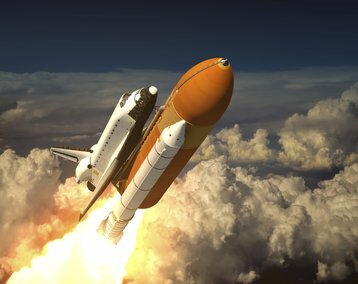 The Rocket runtime will support application containers built for Docker, but with improved performance and better security controls. While rkt is a competitor to the Docker runtime, users will still be able to run application containers that use the Docker image and have been built with Docker tools. It also has its own format, App Container Image (ACI). To increase its security, Rocket includes an automatic signature validation feature for containers, and also supports Clear Containers, a technology from Intel based on the KVM hypervisor, which isolates containers. ”A Clear Container is a container wrapped in its own individual virtual machine that also includes a specially optimized copy of the Clear Linux OS, explains an Intel blog on the subject. ”Clear Containers run on KVM, a mature hypervisor included with the Linux kernel.” The Clear Containers are protected with the security of a virtual machine, but start nearly as fast as an ordinary containers, in less than 200ms, Intel promises. but provide all the security of a VM. Although Docker has a clear lead in terms of adoptions and developer mindshare, Polvi believes Rocket is a serious contender, and it certainly has had a large effort put into it, with more than 3,000 commits from more than 100 developers.